Welcome to A Dollop of Disney! We are so glad that you found our site. We are a family of 5 that has fallen in love with Walt Disney World. 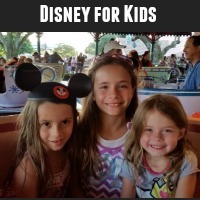 Back in 2010 we spent months carefully planning and savings for our first family trip to Disney World. We went with the mindset that many people do that this might be our only trip to Disney. But, from the moment we drove onto Disney property we were entranced by the magic and wonder of Disney. On our drive home, we called to book our return trip for the following year. We love planning for Disney trips and finding ways to incorporate our love of Disney into our daily lives. That is why we created A Dollop of Disney. 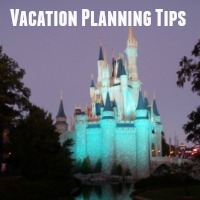 We know that there is a lot that goes into planning a trip (Stephanie has even spent the last few years working as a travel agent specializing in Disney travel) and that it can be overwhelming. But, we also know that with the right balance of knowledge, planning, and spontaneity, anyone can have a magical trip to Walt Disney World. More about us: You can learn more about our family and our crazy love for Disney by following along with us. And, don't be afraid to check out our About Page or leave a comment or send us an email to say Hi. Disney World Planning Tips and Tricks: We spend a ridiculous amount of time following along with what's happening at Disney. We are more than happy to share the tips and tricks that we have discovered so you can plan the perfect Disney vacation. Check out our Disney World planning page. 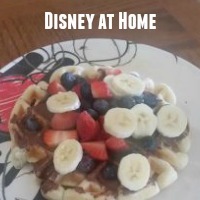 How to enjoy Disney from home: Once you fall in love with Disney you will want to add little bits of Disney into your everyday life. We will share with you how we do that and ideas on how you can too. Check out our Disney at Home page.